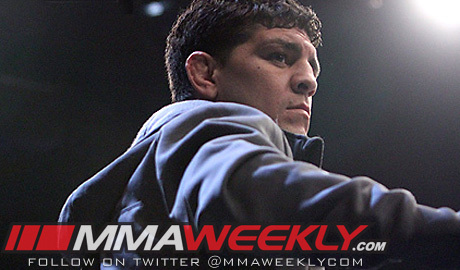 Nick Diaz has decided to opt out of retirement, signing a three-fight contract extension with the UFC on Thursday. The target is for him to return to the Octagon in early 2015, which would align perfectly with a possible fight against former UFC middleweight champion Anderson Silva. Neither Diaz nor UFC officials stated that a fight with Silva was in the offing, but with Silva recently saying he wanted to fight Diaz upon his return, and his return currently targeted for the same early 2015 timeframe, it would only make sense. 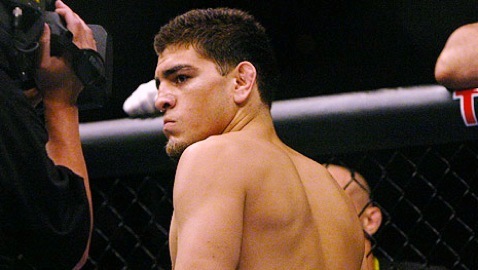 Diaz hasn’t fought since losing his bid to upset then-welterweight champion Georges St-Pierre in March of 2013. After that fight, Diaz said he was pretty much done fighting unless there was something big on the horizon that could draw his interest… namely big money fights. Silva would be just such a fight, and Diaz believes he would match up well. It’s a fight he’d be interested in if he doesn’t get his wish for another title shot, which UFC officials aren’t likely to grant Diaz in his first fight back. “I’d like to fight for the title,” Diaz said on UFC.com. “I think that would be a big deal and worth fighting for. I want fights that will lead to a title fight. Whoever is in line and whoever has the title, that’s who I’m going to be fighting. Although he hasn’t fought in close to a year and a half, Diaz said he’s ready as soon as the appropriate fight is made.